Forget 5 a day, try 5 and 2 a day: 5 portions of veggies and 2 of fruit. It is the veg (especially green ones) that are the REALLY important part. Eat more veggies and feel better. Simples. 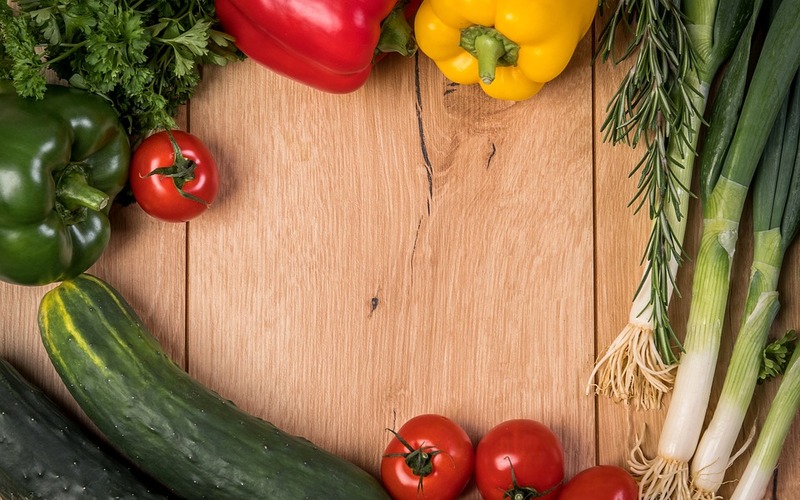 Find out what vegetables are best for vitamins and minerals – no one vegetable contains everything, but some are much higher in particular nutrients. This useful pdf has high-quality information and reliable tables that show what fruit and vegetables you should be eating for maximum benefit. Switch to organic, starting now. A major study at Newcastle University has shown that organic fruit and vegetables contain more good antioxidants and vitamins, meaning you don’t have to increase your intake to get more nutrition. They also contain less of the “bad” things like pesticide residues or heavy metals. Juicers versus blenders is a big argument in the nutrition world right now. Both of them help you to eat more veggies and fruit in your diet. In a nutshell, juicers give you a burst of the vitamins, minerals and sugars, without the harder-to-digest pulp. Blenders give you the whole goodness, with fibre that helps your digestion and reduces the “sugar surge” that juices give. The Nutribullet is a good compromise between the two. This Youtube video compares the three. Get a good recipe book that inspires you to try new flavour combinations (and hide the vegetables). The Big Book of Juices and Smoothies by Natalie Savona has 365 recipes, so you should find something you like! Try growing your own veggies or fruit – home grown tastes better, and all the effort you’ve put into cultivating them will make you more likely to try them. GrowVeg on Youtube makes it simple. Again, remember that organic is best. Soups are another way to “hide” vegetables. To make it really easy and idiot proof, invest in a soup maker, a nifty little machine that you put the raw veg and stock in, and pour soup out a little while later. The Vonshef is the cheapest on Amazon at the time of writing. Having said that, a saucepan on the cooker will do just as well. Home made soup is easy, cheap and nutritious. In your quest to eat more veggies go for unusual ways of hiding veggies: try beetroot brownies, or courgette (zucchini) loaf –it’s a whole new world! Traditionalists around the world will be horrified to read this but …use tinned or frozen vegetables/fruit! If you’re put off by all the preparation and mess of the “real thing”, reassure yourself with the thought that today’s processing techniques mean that nutrition is held in place rather than being lost by the processing. Result? Mess free, easy-to-eat fruit and vegetables. This paper by food scientists should convince you. Don’t think that you can just take a supplement instead of eating your fruit and vegetables. Despite the claims of manufacturers, studies like the ones analysed in this research have shown few benefits to taking supplements, and the concentrations of certain vitamins in some supplements are shown to be so high they are at harmful levels.